General Contractor: Tellepsen Builders, L.P. 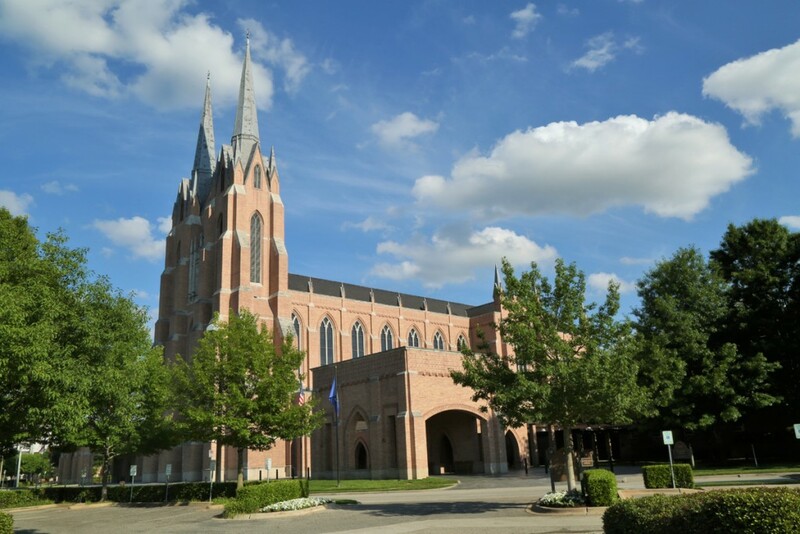 In April 2001, Straus entered into a subcontract agreement with Tellepsen Builders, L.P. to furnish and install the mechanical piping and sheet metal portions of the work on the new St Martins Episcopal Church sanctuary, Parish Hall and renovations. The construction was completed in phases over a three-year period. This project included the construction and tie-in of a new central plant that met both the aesthetic and sound requirements established by the church for the surrounding neighborhood. The new HVAC piping system connected the remote central plant to three Trane 200-ton chillers and related equipment. Straus project team led by Cary Leonard handled the coordination with Tellepsen Builders and the church to minimize any visible disruption to the 7-day a week operations. Once the new central plant was completed, Straus changed over from the old system to the new system in just one day! Ricky Bolin, Straus’ pipefitting superintendent and Bob Allcorn, Straus’ sheetmetal superintendent, supervised the manpower on the project.